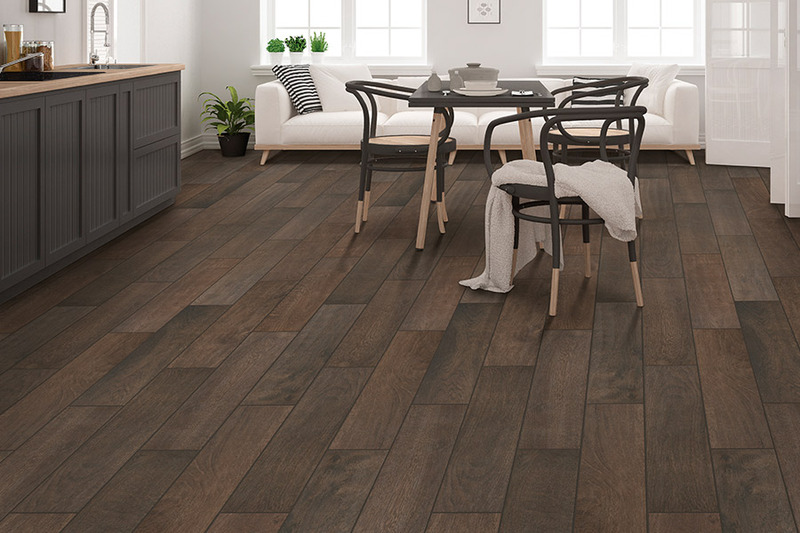 Flooring isn’t something that we want to replace any more often than we have to, and ceramic &porcelain tile can help with that very problem. As one of the oldest floor coverings still on the market today, tile dates back thousands of years BC. The lifespan can be quite extensive, especially when properly maintained and cleaned. In fact, it could be that this is the floor covering you’ll fall in love with as soon as you learn more about it. And that’s what we’re going to help you with today. Whether you are renovating your bathroom DIY style, selecting tile for the new home you are building or having a new backsplash installed, tile can be one of the most fun and exciting but also overwhelming flooring types. There are several kinds of tile materials available including ceramic, porcelain, natural stone, cement, marble, and glass, all of which that are available in numerous sizes and shapes. Knowing the pros and cons of each of these tile materials is important when trying to decide which tile is best for you. In many cases, the specific area where the tile will be installed and the conditions that the tile will face can help with selection. For example, if you need a tile for a shower floor, large glossy marble tiles will not work. It is far too slippery for those conditions. Floored LLC has been helping match homeowners with the perfect flooring for their homes since 2010, and we look forward to doing the same for you. With plenty of high-quality tile flooring to choose from, strategic estimates and professional installation services, we’re sure you’ll find the floor of your dreams. We serve the areas of Christiansburg, Blacksburg, Radford, Floyd, and Pulaski, all from our showroom in Christiansburg, VA. We invite you to stop by anytime to speak with a trained salesperson who can answer all your questions. There are two main kinds of tile – ceramic and porcelain. Porcelains in general are going more durable because of how they are constructed. They are fired at higher temperatures during production which causes them to be denser (I know there is a better word to use here). Within porcelain tiles, you have the option of either glazed or through-body, also known as colorbody, tiles. Glazed tiles have the finish applied on the top of the tile while in through-body tiles, as the name suggest, the color and design goes all the way through the body of the tile. Through-body tiles are ideal for high traffic conditions because if a tile is chipped, instead of seeing a white or grey underside characteristic of older tile, you see the same color that was removed. According to the new standard for rating slip resistance, the dynamic coefficient of friction (DCOF), a tile must be rated greater than or equal to 0.42 to be considered slip resistant and ADA compliant. When looking at older tiles, a tile with a wet COF of at least 0.6 is considered ADA compliant. In a shower floor, mosaics are recommended to accommodate for the slope down to the drain. 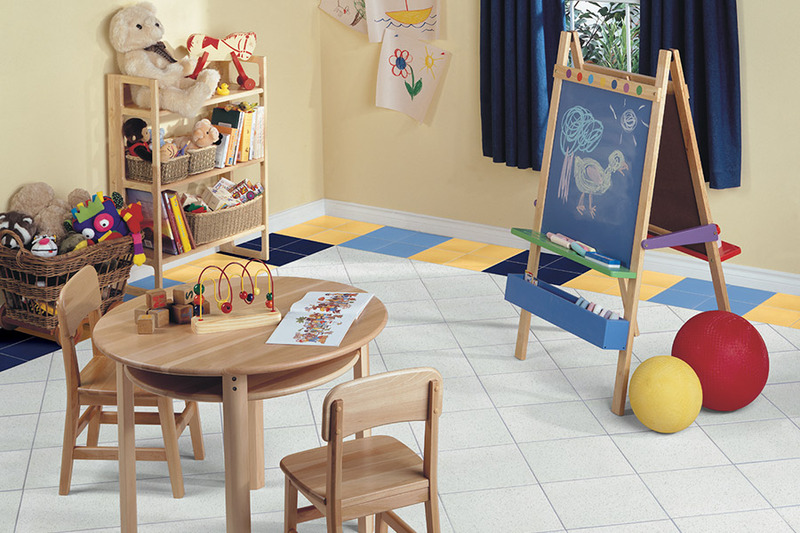 The use of smaller tiles and larger grout joints also improves the slip resistance of a tile. 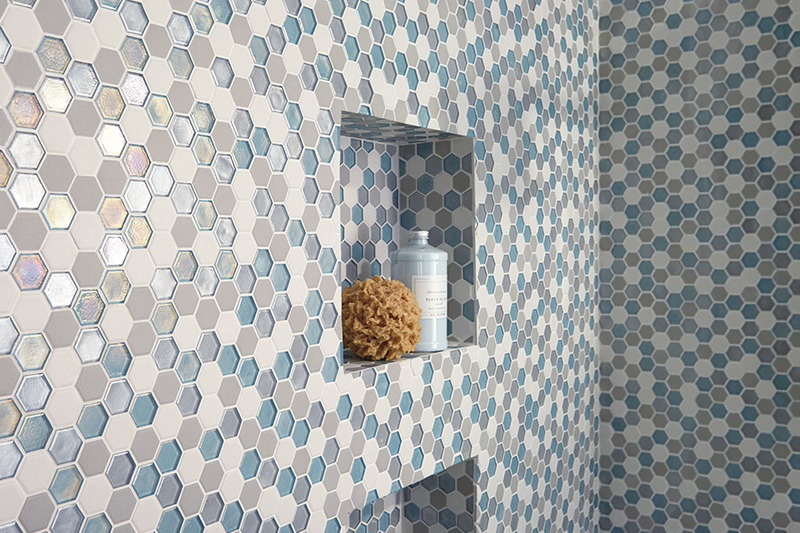 Ok, so now that you’ve picked out your tile, designed your space, calculated quantities, only one more step before you are ready to install – time to choose a grout! Most people cringe when they think about grout because they immediately picture it being dingy and discolored in a year or two, however, thanks to advancements in the world of chemistry, that is no longer always the case. 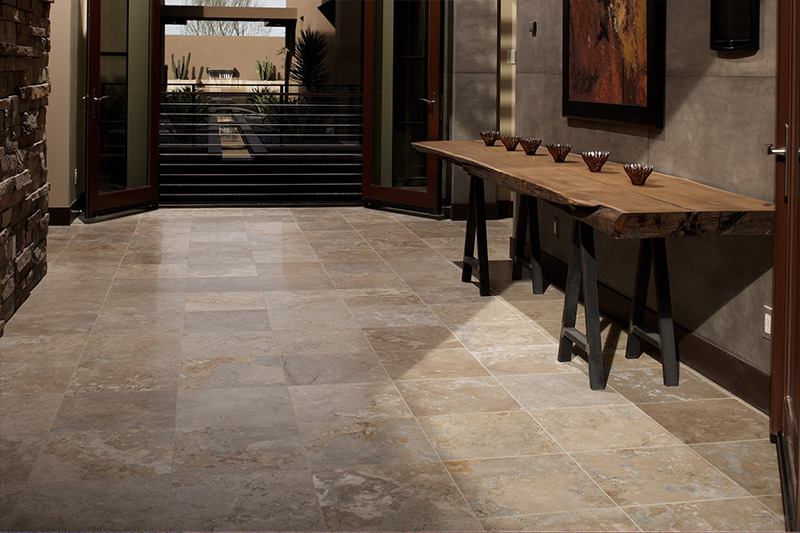 Most customers are familiar with the traditional cement-based grout which is fairly inexpensive but discolors quickly. We typically recommend either acrylic, epoxy or urethane grouts, which unlike cement based grouts, do not need to be sealed, are very stain resistant, have longer working times, are more accommodating to movement in the tile, are easier to clean and most even have antimicrobial properties. 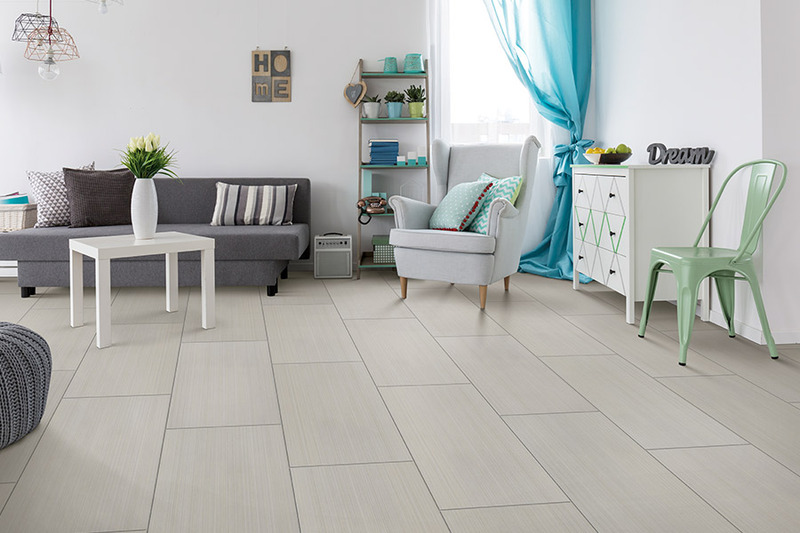 No matter what room you’re looking to floor, ceramic and porcelain tile can be an excellent addition. 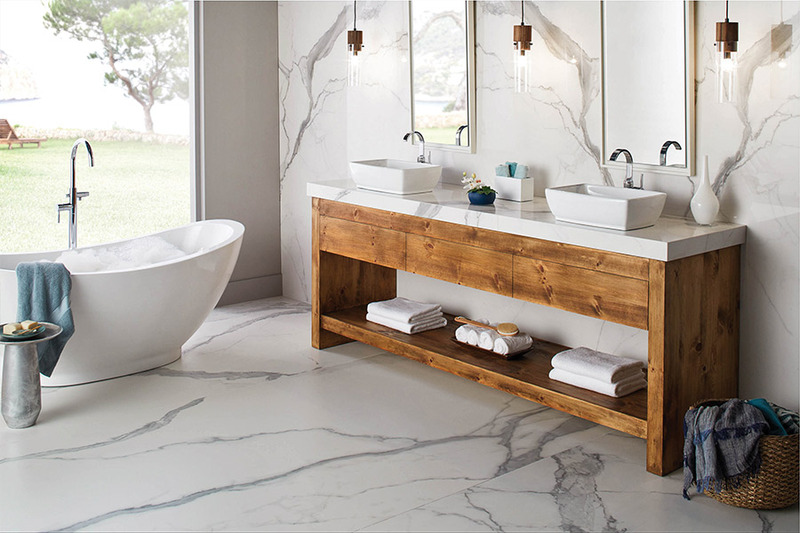 With porcelain, you can choose from a variety of minimal, all-natural looks that keep things homey and classic. On the other hand, the homeowner with a flair for design elements will love the versatility of ceramic tile. It comes with brightly colored glazes and can be cut into a variety of shapes and sizes, even creating intricate mosaics. With the array of design and style options you have to choose from, it’s likely you’ll find something that fits right into your decor scheme. 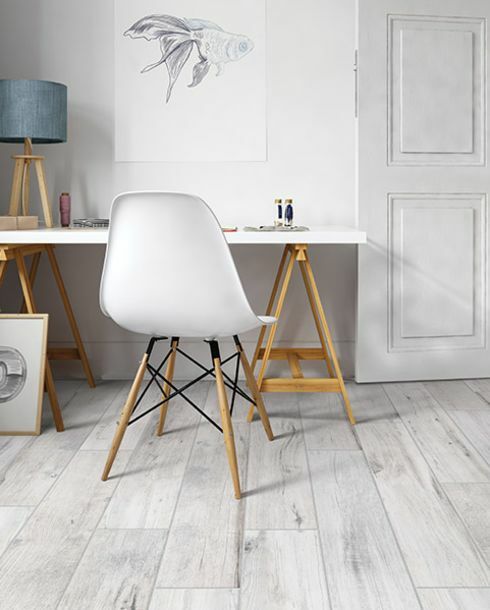 Better still, it’s not likely to go out of style any time soon, so even if decor trends change from time to time, you’ll never have to worry about upgrading your flooring. Both ceramic & porcelain tile make excellent floor coverings for kitchens, bathrooms, and foyers, as they are water resistant and durable. Some homeowners enjoy including the tiles inside the shower, for continuity, and with the right slip resistant glaze, this can be a gorgeous complement to the room. These tile floors are also some of the most hypoallergenic on the market. Because of their makeup, they resist the growth of bacteria, mold, and mildew, and leave no nooks or crannies for dust, dirt, debris, or other allergens to hide in.